You are what you eat… so don’t be fast, cheap, easy or fake. nourish, comfort and bring us joy. It is the perfect expression of love and how better to show love than with cake? Made with simple, yet fresh quality ingredients you can’t help but have all the feels. I have a true love and appreciation for food. Why? I AM A PICKY EATER. If something does not look appealing, smell delicious or contains questionable (read: unknown or well-known non-whole foods) ingredients… I WILL NOT FINISH CHEWING. Yep – I’m stubborn too! The main reason I am half the pastry chef/cook I am, is because I have a deep desire to know exactly what is in my food. I have a deep emotional connection with creating food, I use that ability to craft delicious recipes that are meant to be shared. 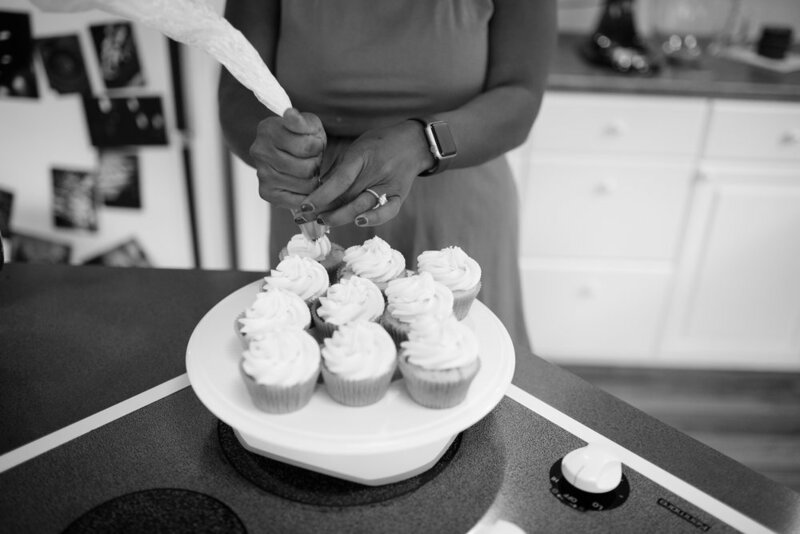 Food brings everyone together and I love seeing the joy that good food, especially baked goods, brings to a gathering. Our goal is simple. Deliver the freshest and best tasting cakes around. That means all of our ingredients are top quality, organic and locally sourced whenever possible. I started June Poppies in 2016 with the intention to reconnect with myself. As a Wife and Mother, it is easy to allow your identity to become one that is solely a caregiver. I knew I could be all of that and so much more! With a fiery desire to follow my dreams, I reunited with a dream I had just before finding out my husband and I were expecting a child. My dream was to open a pastry shop in downtown Pasadena, CA. However when I discovered I was newly pregnant, I knew, starting a new business with a 35+ mile LA commute, no previous knowledge of running a business on my own nor any experience raising children, wasn’t exactly ideal. Jump to 5 years later- I found myself with 2 toddlers, a husband and a dog living ­­­­over 1,000 miles from California in beautiful Fort Collins, CO and it hit me… Here… Get Ready! Cooking has been a passion of mine since I was a little girl preparing huge holiday meals with my family. I have been baking for decades using recipes passed down from generations of bakers and chefs in my family. Over the past 15+ years, I have created my own unique recipes which are exclusive to June Poppies. We bought a smash cake and an 8" barnyard themed cake for our 1 year old. I provided a picture of a cake I had in mind and our invitation, they did the rest! We were really happy with the way both cakes turned out AND they were delicious! I highly recommend June Poppies! We will definitely be back!